Current Leasing Offers: New Year, New Home! Be among the first to live at The National and take advantage of our current leasing offer! New Year, New Home: sign a 14, 16, or 18-month lease on select apartment homes at The National and receive FREE RENT for your first 2 full months! Terms and conditions apply. Offer is valid for a limited time only on select apartments. Contact a leasing specialist for more details! As Old City’s newest midrise apartment community, The National will combine the historic charm and classic finishes abundant in the neighborhood with modern amenities and luxurious interiors. 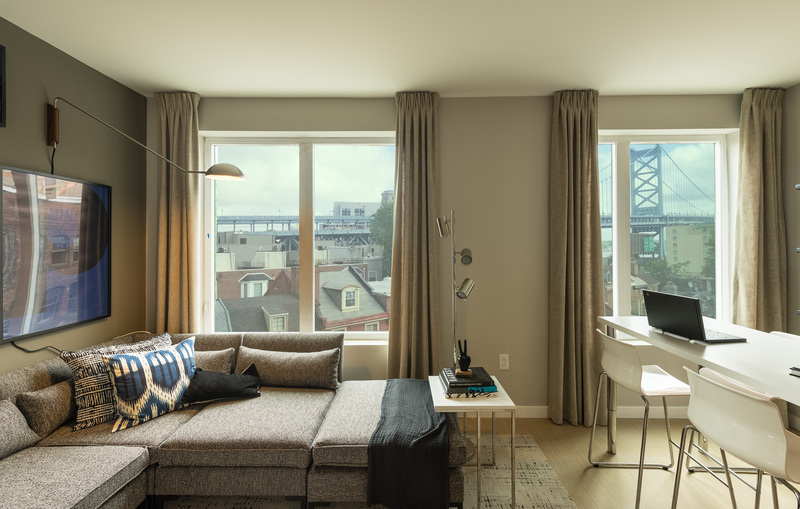 Studio, 1 and 2 bedroom apartment homes at The National will feature exception finishes as well as dramatic views of both Center City and the Delaware River. Residents will enjoy the vibrant community of Old City and also take advantage of the location’s commuter routes and endless attractions.